Verleng nu Xbox Live Gold voor de duur van 13 maanden. 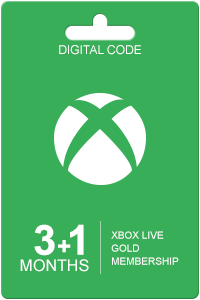 If you want to use Xbox Live Gold for a longer period of time, then the Xbox Live Gold 13 months is keen to your likings. Whether you never used Xbox Live Gold,or you're an avid Xbox Live Gold gamer, this card can always be redeemed on your console or computer. On livecards.co.uk you will not receive the card itself, but just the code you need to redeem, making it easy for you to immediately use your purchase. If you have a Xbox One console, the Xbox Live Gold subscription will offer you unique and exclusive options. With this console, you have access to the options Smart Match and Home Gold. The option Smart Match will match you online with players of your skill and playstyle. Gaming will always be challenging, using this option. 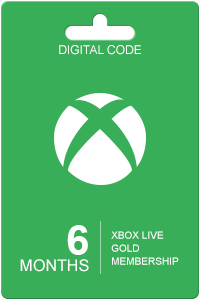 The function Home Gold means your whole household can use your Xbox Live subscription. For example, they are able to play the games you received with Games with Gold. Luckily, you don’t necessarily need to own a Xbox One to enjoy the advantages of Xbox Live Gold. You will get special discounts on selected games, and you are able to download free games every month, saving your money! 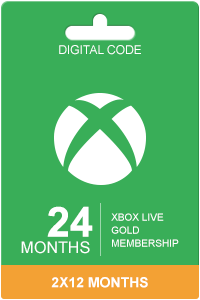 To order Xbox Live Gold 13 months, you fill in your personal information and choose your payment method. After payment, you will receive the code on your screen and will be sent to your inbox. Redeem this code on the Xbox website, or on your Xbox console, to activate your membership. At livecards.co.uk, we offer various other Xbox Live Gold cards, such as the Xbox Live Gold 7 months card and the Xbox Live Gold 12 months card. How to buy Xbox Live Gold 13 months? Livecards.co.uk makes buying Xbox Live Gold 13 months as easy as pie! All you need to do is fill in your email address, pick a payment method, complete the payment and voila! The code is yours.